A 22 degree halo with surrounding circumscribed halo. 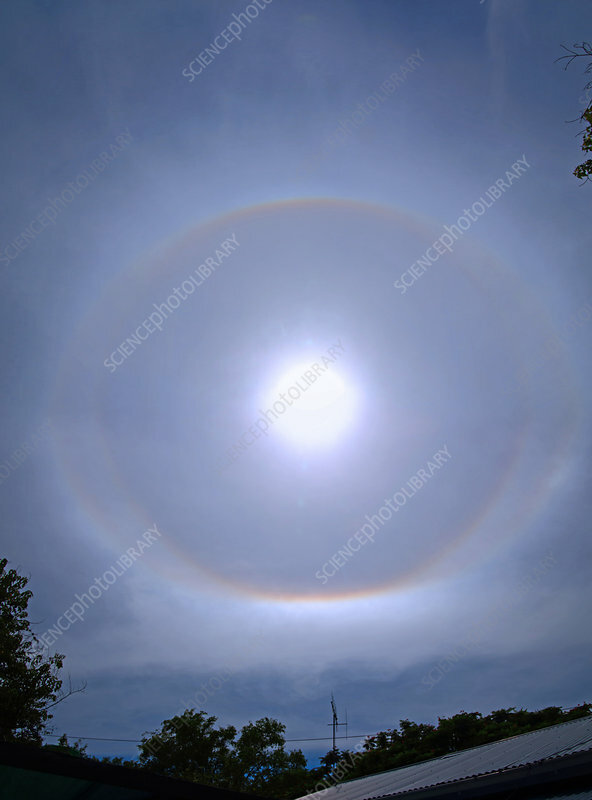 The circumscribed halo is an optical phenomenon created by refraction through ice crystals in the air. It is typically in the form of a sagging oval ring that circumscribes the circular 22 degree halo. It always touches the 22 degree halo above and below the Sun.